Allergic Rhinitis (Hay Fever) - "It is more curable disease rather than incurable illness"
Hay fever is the common name to describe allergic rhinitis and involves a recurrent running nose, stuffy, itchy nose, and frequent sneezing. It can also affect your eyes, sinuses, throat and ears. Like any other allergy, allergic rhinitis is an inappropriate immune system response to an allergen. Hay fever is often considered a nuisance rather than a major disease and most people will self-treat. However, recent studies have revealed that hay fever has a huge impact on quality of life. 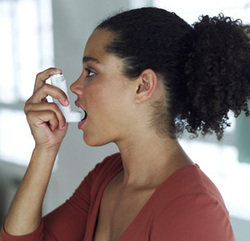 About 20 per cent of the general population suffers from rhinitis. Of these people, about one third develops problems before the age of 10. The overall burden of allergic rhinitis is better understood when you consider that 50 per cent of patients experience symptoms for more than four months per year and that 20 per cent have symptoms for at least nine months per year. Those affected by hay fever suffer more frequent and prolonged sinus infection, and for those who also have red, itchy eyes, there is the risk of developing infective conjunctivitis due to frequent rubbing. What will it be happened if there is no resolution for AR symptoms ? AR can be transferred to Otitis, Nasal polypsis, Sinusitis, Asthma COPD, Respiratory infection, Sleep disorders, Lung cancer. In the view points of TCM, Lung is related with digestive system. especially large intestine. Disorder of defecation such as diarrhea, constipation could be happened as well as skin problem in the body. Lung is important organ relation with water metabolism in the body. So disorder of lung system can give rise to edema, accumulation of water in the body. and poor quality sleep can result in lethargy, poor concentration and behavioural changes and impact on learning in young children. Allergic rhinitis may predispose people to obstructive sleep apnoea, due to the upper airways collapsing during sleep. This results in reduced airflow, a drop in oxygen levels and disturbed sleep. When does allergic rhinitis develop ? Allergic rhinitis typically develops in childhood. It is part of what we call the Allergic March, where children first develop eczema in infancy, sometimes followed by food allergy, and then go on to develop allergic rhinitis and then asthma. The onset of dust mite allergy occurs often by the age of two, with grass pollen allergy beginning around three to four years of age. Tree pollen allergy develops from about seven years of age. 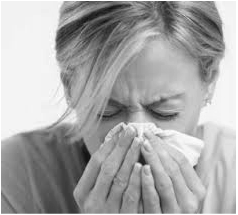 It is not unusual to develop hay fever during adulthood. It can take as few as two to three seasons to become sensitised to pollen, but it depends on the individual. How to treat Allergic Rhinitis by TCM ? Acupuncture & Herbal medicine with special medical device can treat chronic rhinitis regardless chronic or acute symptoms. How long does it need to treat chronic disease ? It depends on duration of disease but mostly it can be cured within one month. How much percentage can it be measured in curing AR disease clinically ? Decreasing and then disapperance of symptoms: running nose and sneezing will be stopped and any triggers as mite, dust, changing temperature etc will not stimulate nose anymore. If your condition is going under above signs, you are now being cured at the moment and will have more chance to be cured completely. PHA has been experienced over than 10 years. improved your condition as well as taste of lifting high quality in your life. body condition and lifting quality of life.